I can't imagine what it would be like to throw myself into my work to find some normalcy amid the loss of a child. It's an incomprehensible situation every parent dreads in the furthest reaches of their minds. Sadly, it became a reality for Zack and Deborah Snyder. 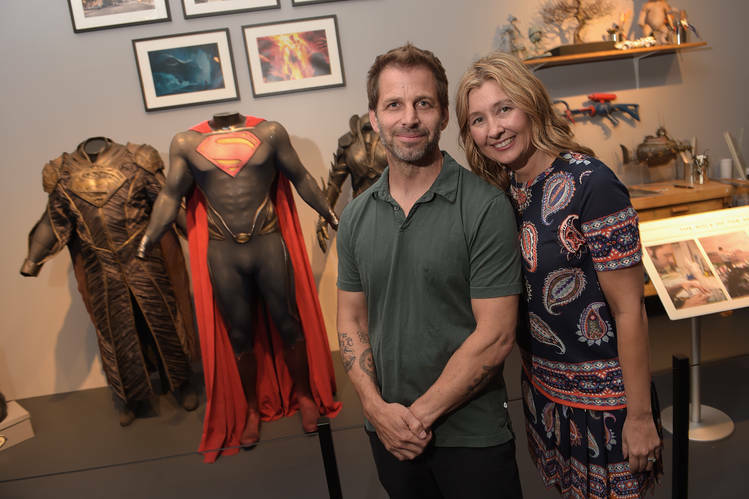 After trying to cope with the emotional devastation, the Snyders have decided to step away from 'Justice League' as it enters post-production. Filmmaker and director of the recently announced 'Batgirl' film Joss Whedon will complete the project in the Snyder's absence. The Hollywood Reporter revealed in an interview with the Snyders that Zack's 20-year old daughter, Autumn, took her own life back in March. Production was put on a two-week break to give the Snyders some time to deal with the sudden tragedy. Only a small number of people close to them knew about their loss in order to keep it private. The overwhelming pain led Zack back to work to seek some distraction as a way to cope. It's a sad commentary on our society that the decision to go public with this deeply personal heartache was in part to quell any potential distortions from online critics. Snyder has garnered a segment of detractors on social media that he feared would twist the reason for his departure. Autumn was attending Sarah Lawrence College and was Zack's daughter from his first marriage, to Denise Snyder. He also raises seven children and step-children with Deborah. “I want the movie to be amazing, and I’m a fan, but that all pales pretty quickly in comparison," he says. “I know the fans are going to be worried about the movie, but there are seven other kids that need me. In the end, it’s just a movie. It’s a great movie. But it’s just a movie." Justice League is still scheduled to be released on November 17, 2017.